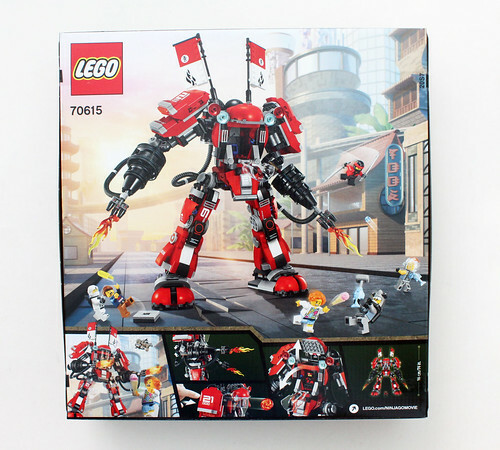 If you know me well, you would know that I really like mechs and when I saw The LEGO Ninjago Movie Fire Mech (70615) in the trailer, I knew it was one of the sets I needed to get. 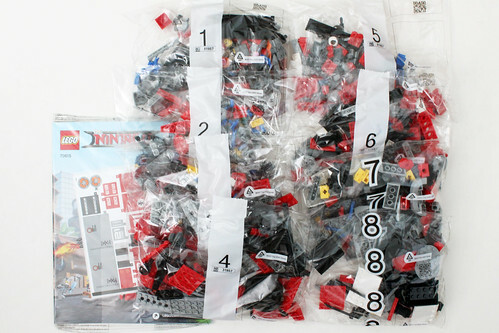 It contains 944 pieces and comes in at a very moderate $69.99 price point. 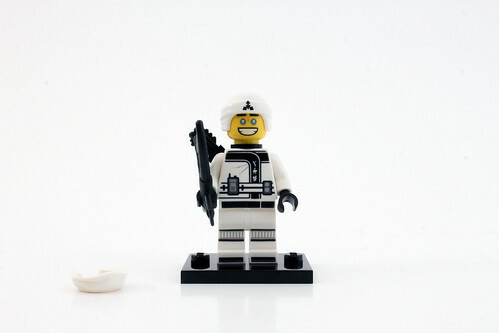 There is a surprisingly a lot of minifigures in this set. To be more specific, six in all. 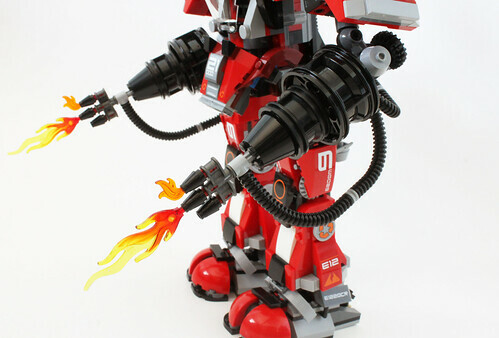 Obviously, we have Kai who pilots the Fire Mech. 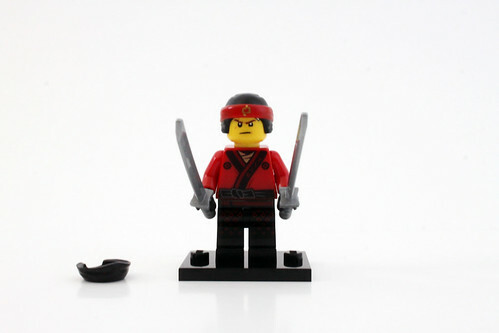 He is the same minifigure as in the Spinjitzu Training Dojo (70606) set. The only thing he doesn’t have here is the harness for the katanas. 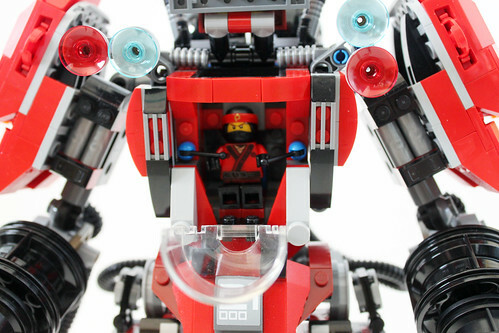 He has a double-sided head with a confident look on one side and a nervous smile on the other. We’ve seen Zane before in previous sets and he is the exact same minifigure. He has a double-sided head with a happy expression on one side and angry on the other. The accessories are his bow and quiver. 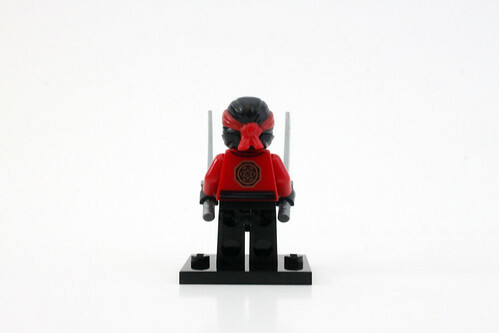 Henry is another citizen of Ninjago City that we can add to the collection. He has on a dark blue sweater with a fish printing on the front along with some words on the front and back. 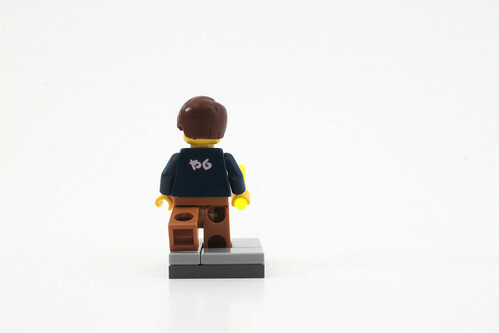 The pants are nougat colored with some belt printing which could be very useful for minifigure customization. He has a double-sided head with a scared expression on one side and a yelling/crying expression on the other. I believe his brown hairpiece is a new one. 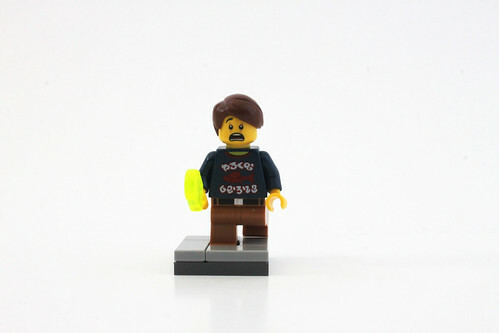 Henry’s accessory is a trans-neon green ice cream. One additional thing that he has is a 3×3 sidewalk piece. I’m not sure of the reasoning of it at this time and we’ll probably learn more about it during the movie. 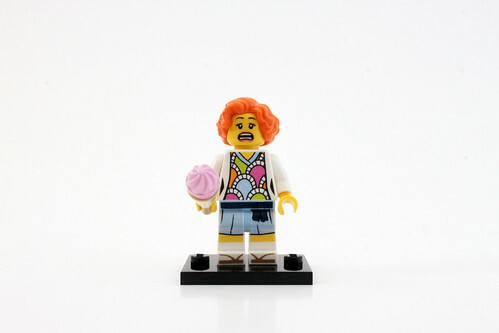 Lauren seems to be an ice cream vendor in Ninjago City. She has one a fairly retro looking shirt with some pastely colors. The legs have some printing of her skirt along with some sandels on the feet. She has a double-sided head as well with a scared expression on one side and a nervous smile on the other. Her orange wavy hair is a new one in that combination. Her accessory is an ice cream cone. One of the more intersting villains that I haven’t reviewed yet is Jelly. 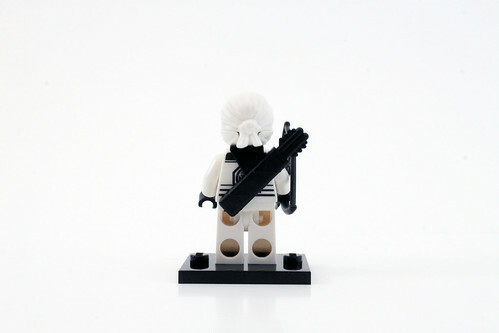 His torso is somewhat a similar style as the others but this one has some tentacle printing as well. I do like his face printing with the red beard. 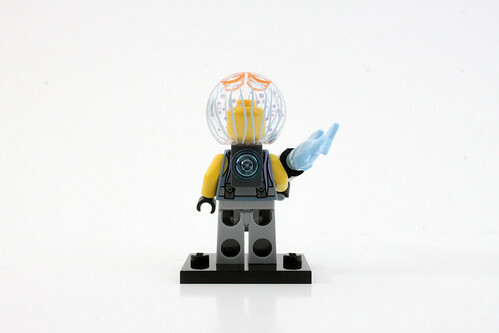 The main thing with Jelly is the printed dome pieces to represent a jellyfish head. 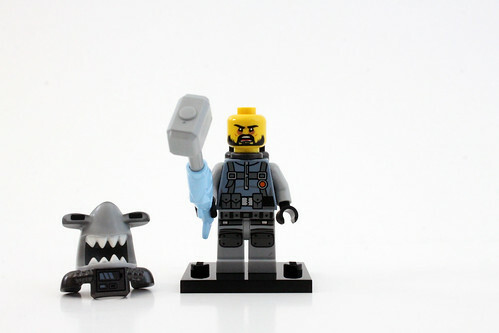 Finally, we have Hammer Head. 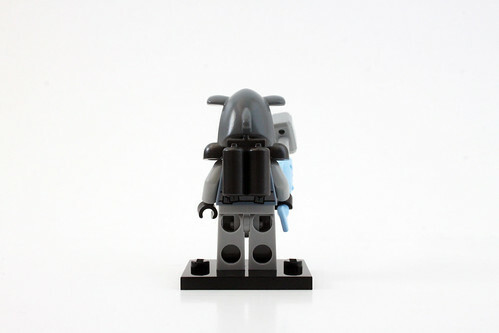 He has the same torso and leg designs as the other members of the Shark Army. 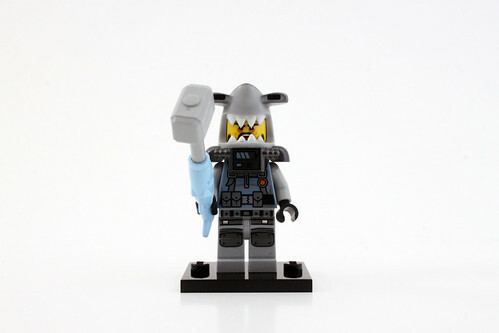 What makes him unique is the hammerhead mold piece which also includes the shoulder pad. There’s also some battery printing on it which shows it at 75% full. 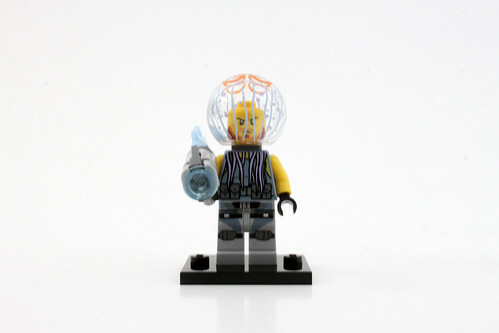 His accessory is a fish hammer. 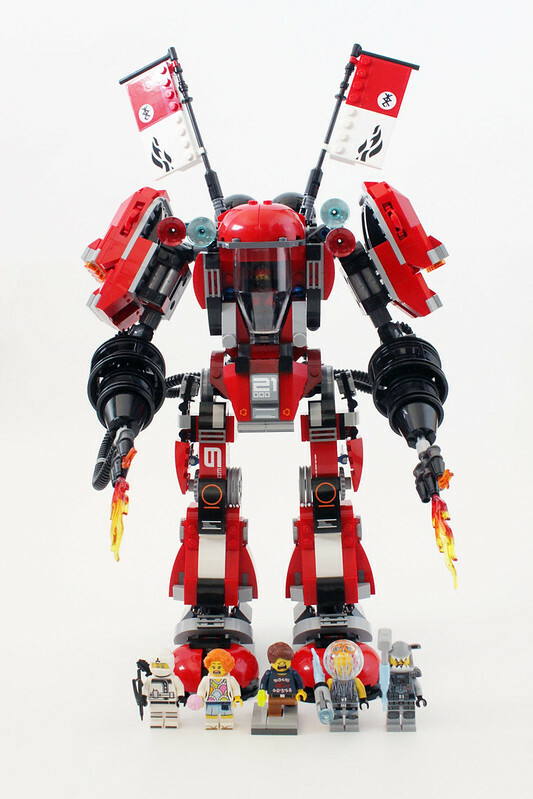 The first thing I will say about the Fire Mech is that it is huge. If you’ve collected any constraction sets before, this thing towers over them. The cockpit sits in the center and there’s a hatch and windshield piece for Kai to easily access it. One thing that is disappointing here is that it is pretty bland. There’s only two antenna pieces for the controls and a seat backing and that’s it. The blues used for the pieces seem off as red would be more suited to be color coordinated. Behind the cockpit are a couple of stickered gas tanks for non-shooting flames. There are a couple of tubes that connect to the legs. 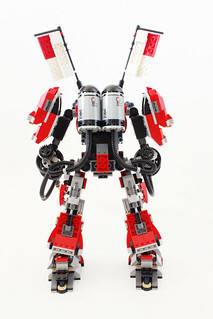 This is an interesting design as I would’ve thought that it would connect to the arms instead. Above the tanks are a couple of stickered sashimono banners on hinged poles. 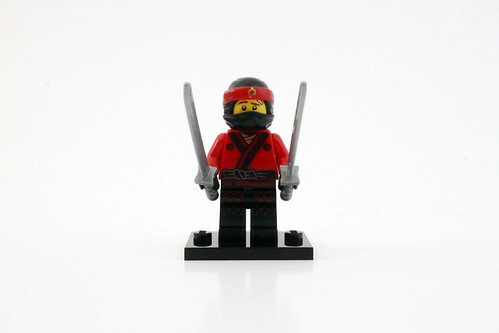 I really like this aesthetic a lot as it gives off a samurai feel to it. 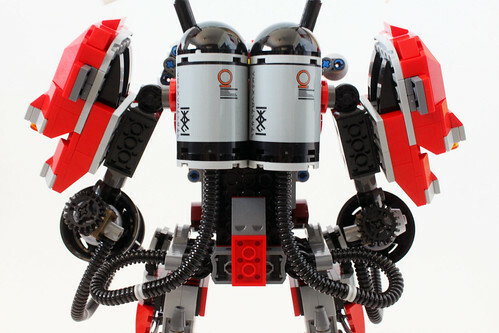 The arms are similar builds except they are on different sides. 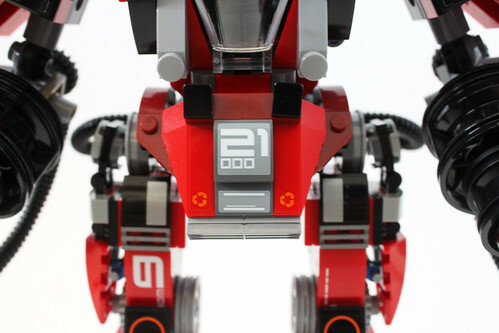 They are on ratchet socket joints so they have a full 360 degree articulation. At the upper arms, there are some large armor pieces. Hidden at the top by the shoulders are a couple of disc shooters. They fire pretty far and there are even some extra ammo that attaches to the gas tanks in the back. 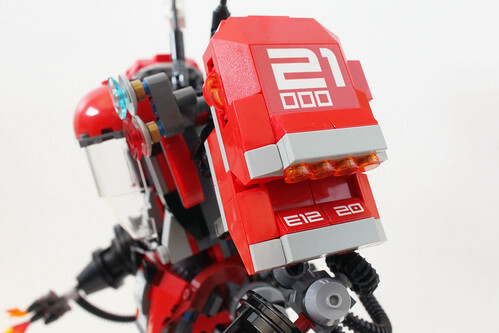 The forearms are also on ratchet socket joints. 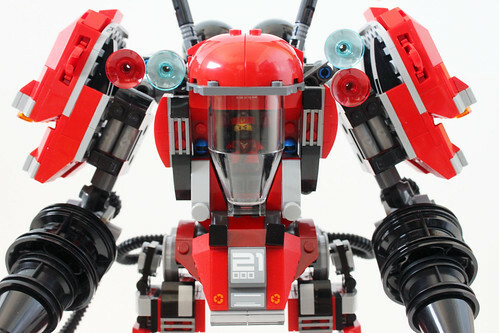 The forearms use some different sized rims to give it the look. 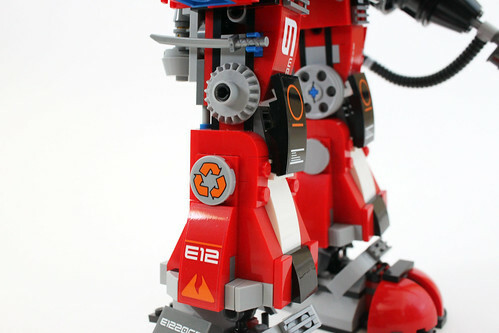 Everything is connected on some Technic pins so it can easily turn using the gear in the back. 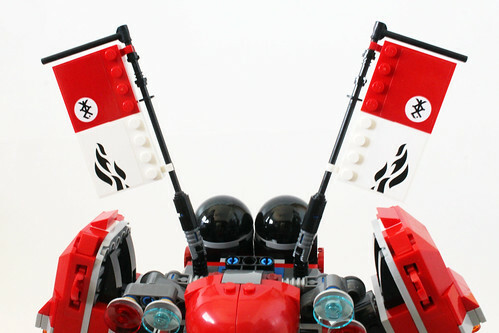 At the front of the arms, there are some flame pieces showing the flametorch being used. At the waist area, there is an armor piece with a sticker for detailing. 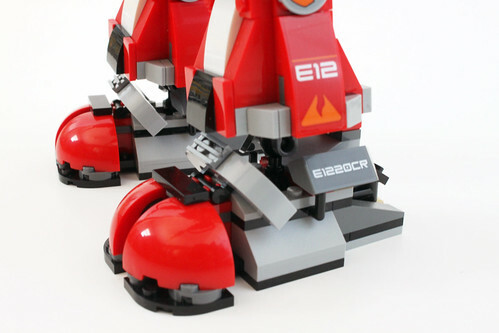 There are a couple of hinges holding it in place but it also moves up a little in case you are articulating the legs. Speaking of the legs, they are long and are a good proportion to the body and arms. 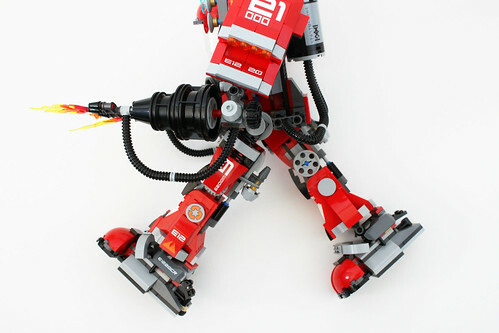 They are connected at the hip using the same joints as the arms. They are able to spread wide and move forward a decent amount however they aren’t able to move back that far due to it hitting the ratchet joint piece. At the upper thighs, there are a couple of clips for Kai’s swords. 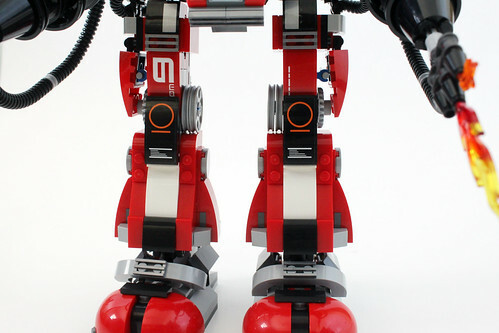 Near the knees, there’s lots of detailing using both stickers and parts to give it the look but that’s all there is. This is because there are no joints in the knees and the legs are stiff which is very disappointing. 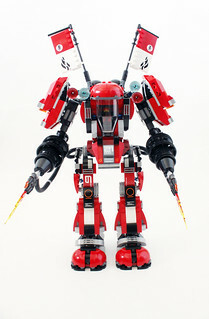 I’m sure fans will modify it to give the Fire Mech full articulation. The feet are on ball joints and even the toes have articulation! It’s only on a Technic pin but it does spin around with ease. I think the purpose of this feature is for poseability. 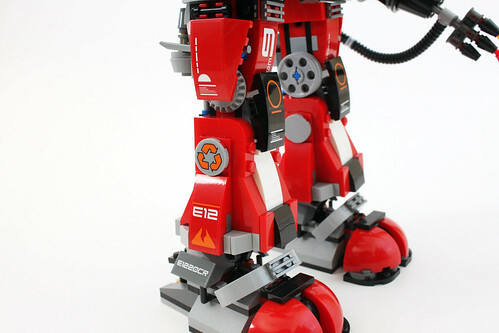 When the legs are spread apart, the toes are positioned accordingly and it gives needed stability the Fire Mech needs for its large body. 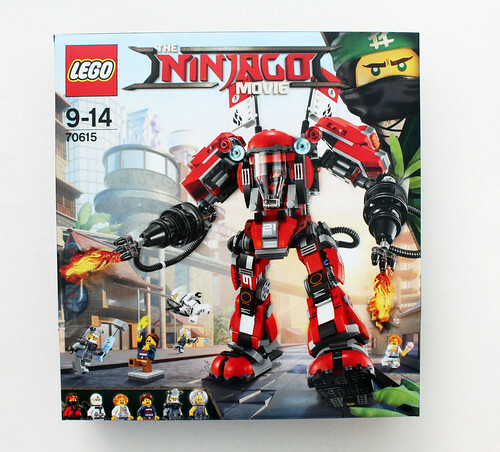 The The LEGO Ninjago Fire Mech (70615) is probably topped the Green Ninja Mech Dragon (70612) as my favorite set so far. 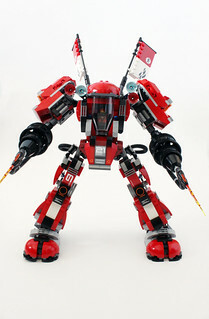 I’m impressed with the size and design of it compared to other mechs that LEGO has released in the past from various themes. The playability and poseability are there as well. Kids will definitely have a lot of fun with it. 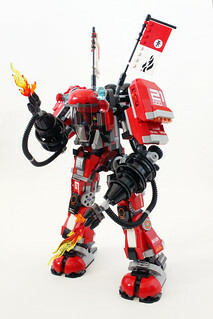 The price point of $69.99 is another thing I like about the Fire Mech. 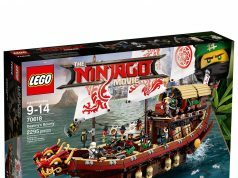 Even if LEGO didn’t send this set in for review, I would have purchased it myself as I was eyeing it when the first image of the set was revealed a few months ago. If I had to give it a knock, the big one would have to be at the knees. I wished it would’ve had joints at the knees to give it more poseability but I understand that LEGO made it that way to keep it more stable for kids. I may have to do some adjustments myself later on to make it fully poseable. I also didn’t like the cockpit that much as it is really bland in that area.